Here's my best calamari pattern, Mon Calamari that is. 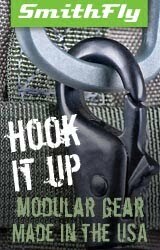 Here's the Admiral Akbar pattern, tied with red squirrel tail, Super Squirrel dub, grouse hackle, and orange beadchain eyes, on vintage Mustad steel, a size 7 O'Shaughnessy hook. "May the force be with us"